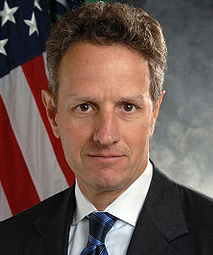 Obama Administration Bungles Toxic Asset Program Thanks to Timothy Geithner! Here's a great demonstration of the adverse effects of big government programs concocted by Obama administration officials like failing Treasury Secretary Timothy Geithner. Today's exhibit is the Public-Private Investment program, or PPIP, which was unveiled by the Treasury Department in March of last year. Instead of getting toxic assets off their books, the Public-Private Investment Program has encouraged banks to take on more toxic assets because the government made them more marketable! Some of the nation's largest banks are making a killing in the process!